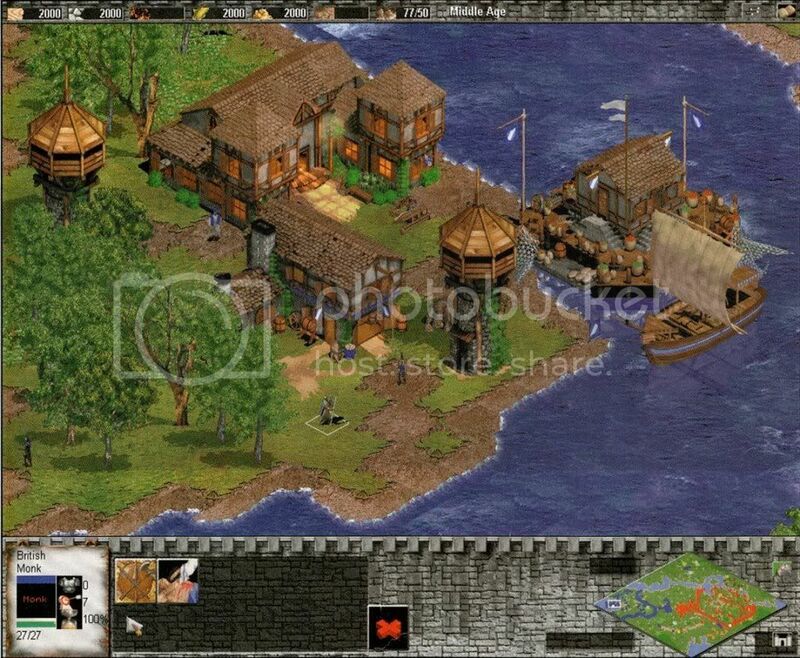 some years back I got some very bizarre copy of aoe2, it seemed to be more futuristically with a better cd protection etc, was very wierd, now I wished I still had it, could it have been an leaked out copy post release of C patch of the conquerors? Hmm... an announcement planned for the Christmas season? A new product? I read in the leaked employee manual that you were paid according to how much you worked and that there were evaluations every month. How does that work? Jetkill> No, most people are on salary, which is adjusted once a year along with employee reviews. Hours worked are not as strongly correlated compared to some other companies. The important thing is the value you add to the company. Taichi San > I meant that to dig up those materials would require some amount of free personal time, of which I don't expect to have enough until the Christmas Holiday. Anyways, size of any materials you will upload in the future, perhaps are an true honor and a unique addition to my collection of the game's artdesk til store museum. It's my own private collection of materials, pictures, reviews, previews, interviews, screenshots, drawings, renders, actual beta's and much more all ordered in the timeline of when aoe2 was made. There are still many things that only have an estimated creation date but I can believe that when you ever gathered enough personal time to upload/send everything, that alot of gabs will be filled and lots of the puzzle will be solved. You can just zip whole folders with files you even think are irrelevant if you think it takes lots of time to sort as long you're sure you've filtered out the things you don't want to share. Lol alexandra. You should be happy and grateful if he has the time and manages to dig up something, just don't expect an entire archive of hidden gems. We should defenitely try and keep this thread going, I'm curious about anything people might post. I've been browsing through the earlier posts again lately, so much interesting things that I almost forgot about. well great news peoples, I finally did it, I obtained an old computer magazine with an full screenshot and preview of aoe2 in 1998!! The screenshot itself is known but its never been shown fully, with interface of the game! Notice the reflection of the units in the water? Quite advanced for such an old game. Shame they didn't keep that. In this, the dirt actually looks like dirt! I guess the reflection didn't make it because it was actually part of the ship's sprite... Think of it, it would look awkward if the ship was placed just north of a shore, right next to it. Cool find. Every time I see one of those old shots I feel I can really see why they changed up the terrain art - it looks so dreary! The water too. Quite a surprise to see reflections, wouldn't even have noticed it had it not been pointed out! We know Ensemble started working on it as an AoM port, but what brand had this console RTS really before it was made Halo Wars. Was it AoE related or a completely new brand? But apparently, it's going to be for the Xbox360. No. There's are "Xbox for Windows" games now. A bit weird, but yeah. I don't see any needed console specifications either. It definitely says Windows gaming in the job description. • Experience with Havok and/or Vision engine. Havoc was used in AoEO and Vision is being used in Robot Entertainment's Orcs Must Die. My money's on it being some kind of AoEO-related game. is it just me or are games everywere taking a turn for the toonish? I really dislike that kind of artwork unless it's supposed to be some sort of singular main character (like adventure games..it fits Spyro, Crash Bandicoot, sly cooper) and see no reason for it to make it's way into a strategy game. It was used in The Settlers 7 as well. It seems to be working fine for RTS games. And given that it's possibly worked on inhouse, a licenced engine is more likely than working with the AoE3/AoEO engine. I doubt anyone will want to work with it. Only Robot sort of knows it, and GPG doesn't like the engine for it's highly outdated. I know nothing about that job posting. If I had to speculate, I would guess they are continuing with AoEO. local boi> I think what you are noticing is the "iOS effect" - where all the games in the mobile/iOS space and facebook games have adopted a very smooth colorful cartoon style in part for reasons of cost and efficency. Well, it says "This full time position is dedicated to creating a new game to expand the Age of Empires portfolio, targeting modern highly accessible platforms with broad appeal, rich social connectivity and intuitive controls." New game, probably Xbox for Windows 8 and tablets. Unless they just copy/pasted an AoEO description. Anything about the AoM question I asked earlier? AoKO? It better be drastically different from AoEO, I hope MS learned from the mistakes made.